On November 12, 2018, every geek, nerd, cosplayer and hero’s heart sank when Stan “The Man” Lee passed at the age of 92. There was a unified weeping as news of one of the creators of the Marvel Comics universe passing spread across the world. 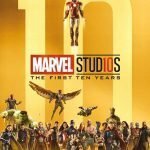 As a sort of fitting tribute to the writer, Titan Comics has released Marvel Studios: The First Ten Years Collectors Edition. The book acts as a wonderful tribute to Lee and the host of numerous creators of the Marvel Comics universe, who have given birth to the Marvel Cinematic Universe (MCU). If you are unfamiliar with the MCU or even want to brush up on a few of the finer details of this film franchise universe, this is the book for you. 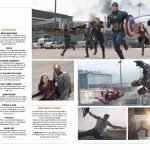 I found this tome to be very nicely laid out with a general outline of the actual timeline of the Marvel Studios films. The book also provides some off-screen history for the films, with no spoilers. 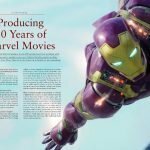 There are also interviews with the President and Co-President of Marvel Studios sharing their vision for the cinematic universe. In addition to this, there are interviews with various actors, writers, and directors of such films as Black Panther, Avengers, and Guardians of the Galaxy, as they all provided their vision and thoughts on the MCU. If someone is new or unfamiliar with the MCU this will get you up to speed easy. 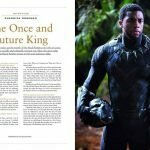 The breakdown of the book is simple to get through, placing every movie in chronological order, while also providing its own timeline for each film. My favorite part of this entire collection is the Easter Egg breakdown for each film of the MCU. I do recommend picking this up, as this would make a wonderful addition to any comic book collection as well to enlighten your fellow geeks.